Our KidSchool welcomes children between the ages of 4 and 8 years of age. In this course we work on the basics in different sport skills, leading up to tennis skills. The key components include coordination, concentration, and discipline as well as social behavior. These skills are the fundamentals for all sport. In addition, the children are taught the basics of tennis. 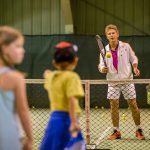 The children will have a better understanding about basic tennis techniques and they will learn the rules and basic history of tennis as a sport. The educational content of this program follows the structure of the world class ESTESS Diploma Test. KidSchool has two levels of skill building with a few other opportunities for social tennis within this age group. ESTESS also offers social learning tennis classes for kids such as BeeFit4Tennis Kids a program where children are given a mixture of cardio exercises, tennis drills, and muscle memory and muscle strengthening routines essential to injury prevention all in a fun and musical environment! Kids are welcome to attend BeeFit4Tennis every Monday at Kockelscheuer 1700-1800 and Saturday 1000-1100. Another opportunity for KidSchool players is our weekly Mini Tennis Tournament every Sunday from 1500-1700. Here kids learn the basics of match play and healthy competition. They even get a chance to learn how to be a referee! KidSchool participants are welcome to join a skill building class between 1 to 2 hours per week plus BeeFit4Tennis, Mini Tennis Tournaments, Sweet Spots, etc. The more often they come to the court the faster they can improve! The courses in the KidSchool are divided into two levels: Ball and Racket School and Mini Tennis. The new year begins September 16 2018 at which time our coach team can choose the level that is right for your child and we offer this class in an annual package (34 weeks). Ball & Racket: Ball and Racket is for children aged 4 to 6. 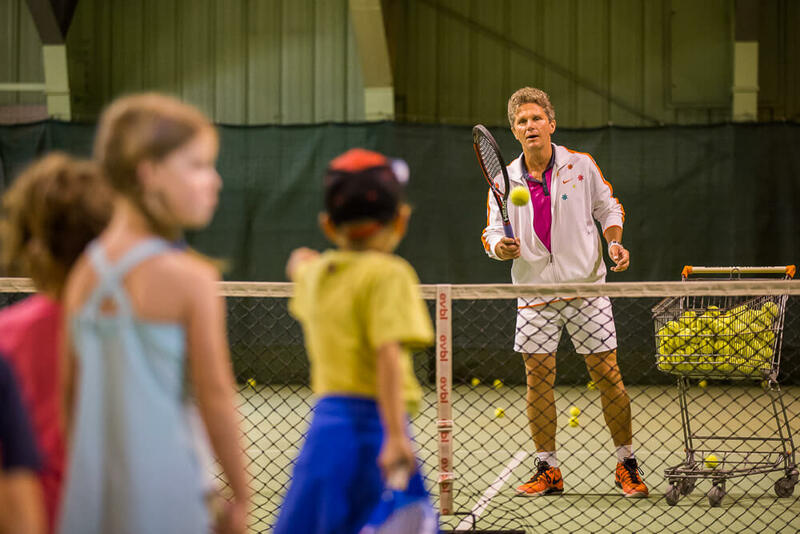 Here kids begin with the very basics of becoming familiar with ball and racket sports. They learn to focus, to throw, to swing, and they get basic fitness, perseverance, and good sportsmanship training. They practice tennis fundamentals with red training balls. Kids can attend Ball and Racket practice once a week. The annual price for this training is 450€ for one hour a week. Ball & Racket Pro Package: 3 hours of weekly training for kids age 4-6. Here the kids can have 2 hours of Ball & Racket + 1 hour of an ESTESS original concept class Sweet Spots. In Sweet Spots the kids learn tennis culture, counting points, rules, famous tennis players, and more via games, multi-media and role play. The annual price for this training is 840€ for three hours per week. Mini Tennis: Mini Tennis is for children aged 5 to 8. Kids are welcome to graduate to Mini Tennis after one or two years of Ball and Racket (depending on their progress). 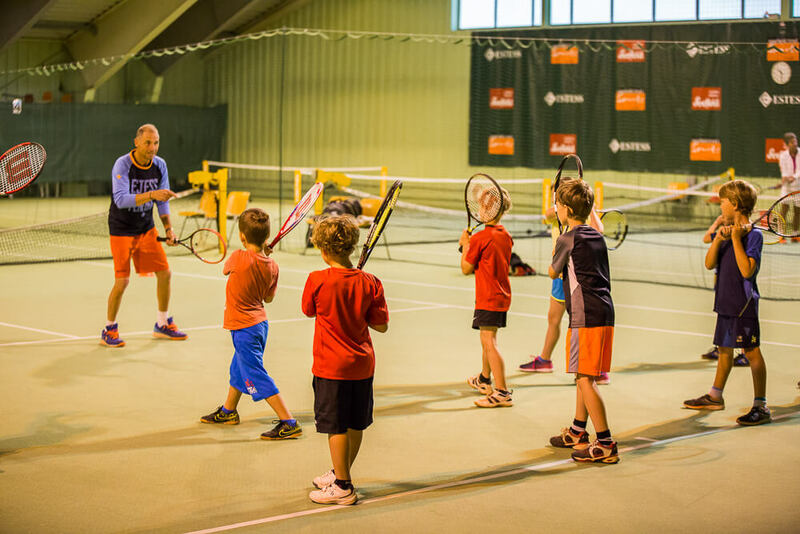 Kids begin to learn the basic rules of tennis, and begin practicing tennis drills using the orange training balls and games to keep the kids engaged. Kids can come to Mini Tennis practice once a week. The annual price for once a week is 570€ per year. Mini Tennis Pro Package: 4 hours of weekly training for kids age 5-8. Here the kids have 2 hours of Mini Tennis + 1 hour of BeeFit4Tennis (cardio and strength building tennis for kids) + 1 hour of an ESTESS original concept class Sweet Spots. 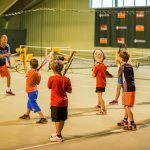 In Sweet Spots the kids learn tennis culture, counting points, rules, famous tennis players, and more via games, multi-media and role play.and for four hours per a week is 1200€ per year. This includes 4 Sunday Mini Tennis Tournaments in the cost! All annual classes include a number of ESTESS Diploma Tests where kids and parents can keep a record of training progress. A KidSchool group session (whether Ball & Racket School or Mini Tennis) lasts 55 minutes and we practice for 34 weeks each year. A group consists of up to 8 participants for Ball & Racket and up to 6 participants for Mini Tennis. ESTESS hosts camps and trips during holidays and off weeks. What are the advantages of having more kids in the group? Kids learn from each other and have more fun around other children. It is social learning that produces this particular dynamic. 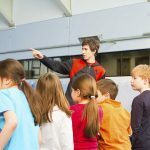 Don’t the kids learn more when they are alone with a coach? No. It is important to understand that a child cannot concentrate for a full hour continuously in this skill building curriculum. Therefore, it is necessary for a On & Off methodology, where children have the opportunity to develop together with other children. For more active learning kids should attend our weekly BeeFit4Tennis for Kids, Sweet Spots, and our Mini Tennis Tournaments!